More posts by Sadie-Megin Daniels. More posts by Petra Wallenmeyer. Both significantly overstate their case. Even if researchers did intend to prove abortion does not cause depression, the scope of their research was much too narrow to substantiate such a sweeping claim. The objective intent of this study was to answer the question: “Is first-trimester first abortion associated with an increase in women’s risk of first-time antidepressant use?” Researchers concluded it was not, but this is not the same thing as asking whether abortion causes depression. Researchers found evidence first-time first-trimester abortion does not increase women’s risk of first-time antidepressant use, the reasons for which could be multitudinous, none of which could have anything to do with abortion not being detrimental to women’s mental health. Even the Guttmacher Institute, when citing a report made by the American Psychological Association on mental health and abortion, does not make the claim abortion does not cause depression. Instead, it makes the very narrow statement: "Leading experts have concluded that among women who have an unplanned pregnancy, the risk of mental health problems is no greater if they have a single first-trimester abortion than if they carry the pregnancy to term." Note the highly specific circumstances. If the woman has a "single" — meaning no more than one — first-trimester abortion, her mental health risks are no more significant than if she chooses to carry to term. Every woman in the NBC-reported study who underwent an abortion had the abortion within the first trimester. 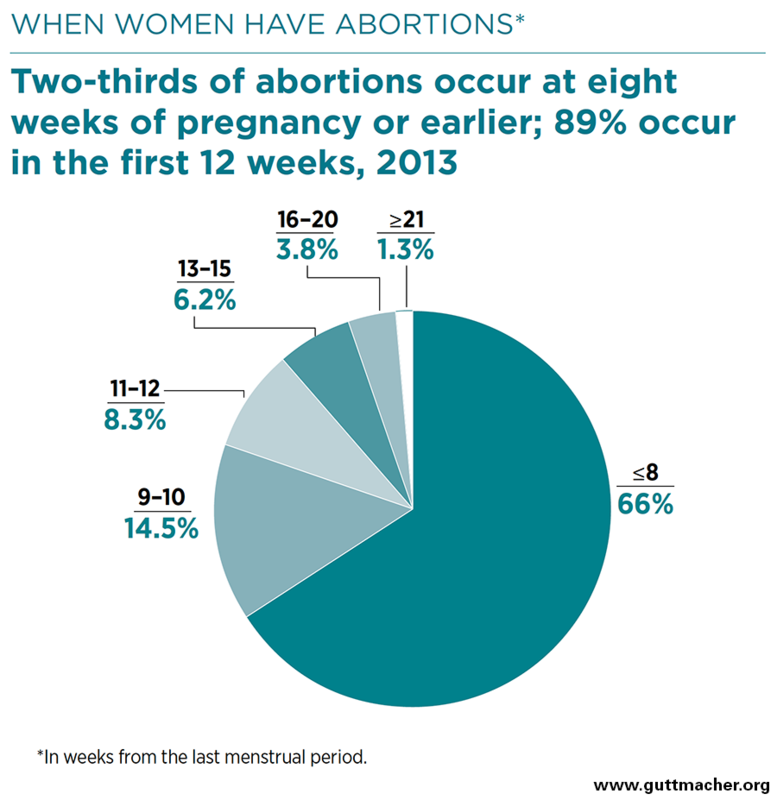 That means no abortion in this study took place after 12 weeks gestation. It is worth noting in Denmark a woman may terminate her pregnancy for any reason up to the 12th week, but after the 12th week, termination requires an exigent circumstance. According to the Guttmacher Institute, in the United States, although the vast majority of abortions are performed on children within the first trimester, in 2013, 11.3% of induced abortions were performed on children older than 12 weeks. In another article first published online in 2007, the Guttmacher Institute noted, “About half of all U.S. women having an abortion have had one previously.” A 2017 article from Rewire magazine notes “about 45 percent of abortion patients nationally report having more than one abortion.” Therefore, nearly half of women seeking abortions in the U.S. would fall outside of the narrow scope of the NBC-reported Denmark study if researchers were to repeat the study in the U.S. Researchers claim “policies based on the notion that abortion harms women's mental health may be misinformed.” However, other record-linked studies like the one NBC wrote about reveal having both a single abortion and multiple abortions decrease maternal life expectancy for several reasons. These include suicide, homicide, and physical health conditions for the first six months to multiple years after the termination of a pregnancy. NBC has done nothing new with the way they chose to spin the antidepressant study. The sweeping, sensationalized conclusions unsupported by the studies themselves have become so familiar it would be refreshing to see abortion research covered honestly. In fact, if NBC were to report honestly on abortion research, they would find there are more than enough peer-reviewed journal articles and public records available for lawmakers to write, pass, and enact abortion regulations seeking to protect women's health.